UW Health’s Total Rewards Package competitively compensates our employees in order to recruit, retain, recognize and reward highly talented individuals. Our benefits package goes beyond the traditional thought of benefits to help you balance your work and life needs. UW Health provides comprehensive health and dental insurance, which includes chiropractic, behavioral health and prescription drug coverage for you and your family. UW Health offers life and disability insurance to protect your income and prepare you for the unthinkable. UW Health helps employees plan for their retirement by setting aside pre-tax contributions through employer matching, profit sharing or supplemental retirement plans. UW Health values the contributions of each employee and wants them to be at their best while caring for patients. A variety of employee appreciation events are offered throughout the year, in addition to UW Health’s Wellness Options at Work that creates and supports a healthy culture for our employees. UW Health is committed to providing all employees with a competitive level of compensation at time of hire and throughout their career at UW Health. UW Health will review and discuss an individual’s relevant experience and education during the selection process. Salary offers will be established to be competitive with the external labor market based on the job and an individual’s experience. 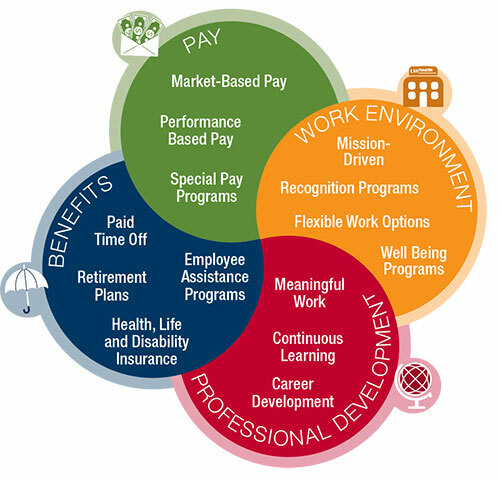 During their career at UW Health, employees may be eligible for annual base pay increases based on market data, individual performance and UW Health’s financial performance. Balancing work and personal life is important to all employees. UW Health supports this through paid time off programs, which include vacation, holiday pay and time off for new parents. Free and confidential financial services, legal consultation and counseling services are available 24/7 at no cost to employees, their family and household members.